Adobe home security is a growing leader in the home security industry. With DIY security growing in popularity, companies like Adobe are struggling to keep up with the constant innovations. Lately, standalone “all-in-one” security systems are gaining popularity and companies like Adobe are starting to adapt this model. An all-in-one security system essentially means that the central hub by itself is enough to keep a room secure, but that separate modules can be added to expand the system’s capabilities. 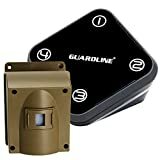 One example might be that on top of the central camera keeping a watch over your living room and front door, you might also add sensors to your doors and windows to detect entries. The difference with Adobe Iota is that you can combine your existing Adobe security by including that Iota system. The main boon of the Iota is its connectivity. Not only does it solve a lot of the connectivity issues with the existing Adobe security systems, but it also connects to virtually any smart home device and gives you control of them inside of the Adobe smart home software turning your Iota into a smart home hub and security system. There are several drawbacks to the Adobe Iota. 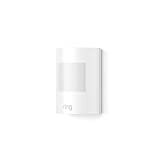 For example, the Angee security system camera not only has a wider field-of-view, but it will also swivel to point in the direction of whatever triggers a sensor. Since Adobe is advertising the Iota as a stand-alone security solution, it would seem to reason that the system would be sufficient security on its own, but we’ve found that this isn’t really the case. The camera has a 152 degree field of view, which is okay, but not if you’re trying to get a view of the entire living room you’re probably going to need a wider lens or more cameras. The distinct lack of focus on the camera seems to be a common trend among Adobe’s security technology, but they do have a lot of benefits to their service that might lead you to ignore a somewhat sub-par camera with your security hardware. Adobe security is professionally monitored or self-monitored depending on how secure you need your home to be to feel protected. That means that your monthly bill will typically be a little lower with Adobe security than with their competitors. However, it’s important to distinguish self-monitored home security from professionally monitored home security. When you’re monitoring your home security yourself, you will always run the risk of being vulnerable. It’s just not possible to be available to monitor your security 24/7. On top of that, emergency services can’t respond to automated alerts. Imagine how many false alarms they would end up responding too if every DIY security system could draw their services. Home security is one of those things that if you’re going to do it, you should probably do it right. That’s why installing a cool gadget that claims to be an all- in-one security solution, but is most likely just a fancy toy is probably not the best option. With Protect America, if something goes right, you’ll know that help is on the way. With over 25 years of experience, Protect America also knows that you need a security system that can detect a break-in anywhere in the house. That’s why they offer up to $1400 of equipment with no up-front fees, so you can get your home protected right away. Get a free quote today and get peace of mind with Protect America.